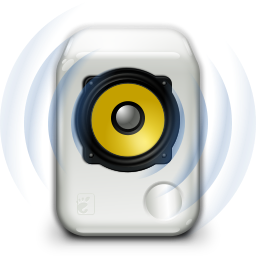 Rhythmbox is an integrated music management application, designed to work well under the GNOME Desktop, and based on the powerful GStreamer media framework. It supports Linux operating system. MuseScore is cross-platform, multi-lingual, open source music notation software. If you are a musician, teacher or composer interested in generating your own sheet music, MuseScore makes it very easy and offers most of the same features you'll find in the proprietary software. It features an easy to use WYSIWYG editor with audio score playback for results that look and sound beautiful. It supports unlimited staves with up to four voices each, dynamics, articulations, lyrics, chords, lead sheet notation, import/export of MIDI and MusicXML, export to PDF and WAV, plus online score sharing. Mixxx is an open source DJ tool designed for both professional and amateur DJs alike. Mixxx allows DJs to mix music live with a clean, simple interface. Furthermore, Mixxx has a number of key features to help DJs in the mix: Beat estimation, parallel visual displays, and support for more than 30 DJ MIDI controllers. It integrates with iTunes and includes BPM detection and sync, and supports Windows, Linux, and OS X operating system. LMMS aims to be a free alternative to popular (but commercial and closed- source) programs. It is a full-featured music production system that gives you the ability to produce music with your computer by creating cool loops, synthesizing and mixing sounds, arranging samples, having more fun with your MIDI-keyboard and much more. LMMS combines the features of a tracker-/sequencer-program (pattern-/channel-/ sample-/song-/effect-management) and those of powerful synthesizers and samplers in a modern, user-friendly and easy to use graphical user interface. Jajuk is a software that organizes and plays music. It is a fully-featured application with an intuitive interface for users with large or scattered music collections. It is Java based and OS independent. Fre:AC is a free audio converter and CD ripper with support for various popular formats and encoders. It can be run on any portable storage device like a USB thumb drive, and converts between MP3, MP4/M4A, WMA, Ogg Vorbis, FLAC, AAC, WAV and Bonk formats. It supports Windows operating system.